Greetings from Japan. I'm in Tsukuba, a research center that the Japanese government plopped in the middle of an agricultural area northeast of Tokyo. 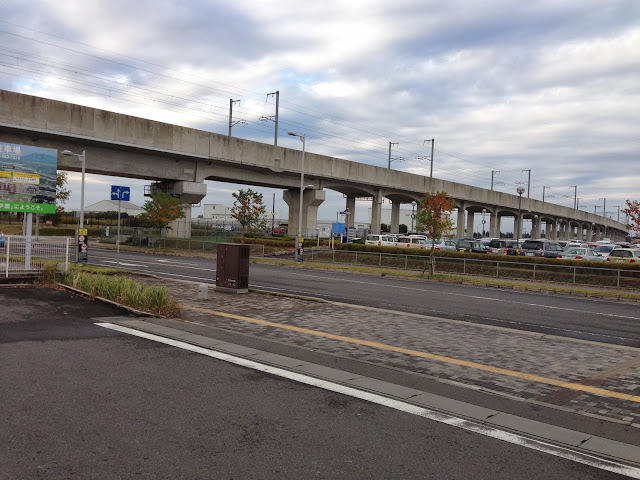 They recently built an elevated railway line between the two cities. 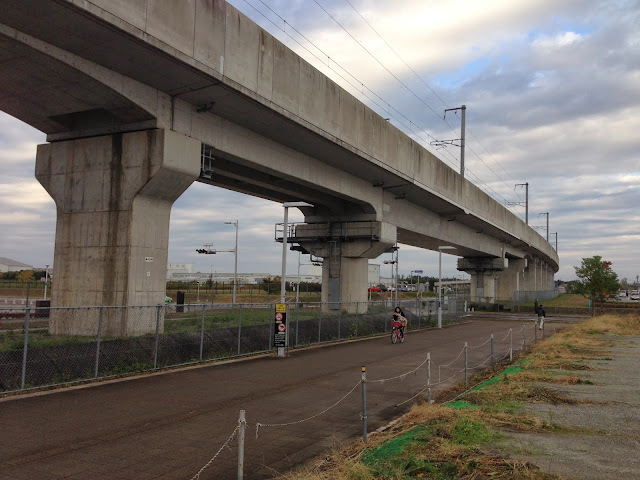 This viaduct changes from two column bents to wide hammerhead bents as it crosses the road to become Kenkyu-gakuen Station. Also, the superstructure switches from T beams to box girders as it transitions into the train station. Ibaraki Prefecture, Japan Bridges: Japan Railroad Viaduct into Tsukuba by Mark Yashinsky is licensed under a Creative Commons Attribution-NonCommercial-NoDerivs 3.0 Unported License.